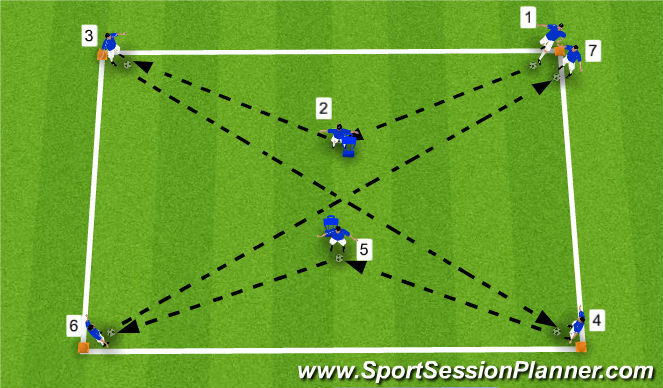 Target - Specific Passing (inside and outside of the foot across the floor, driven across the floor, driven in the air, clipped and swerved). 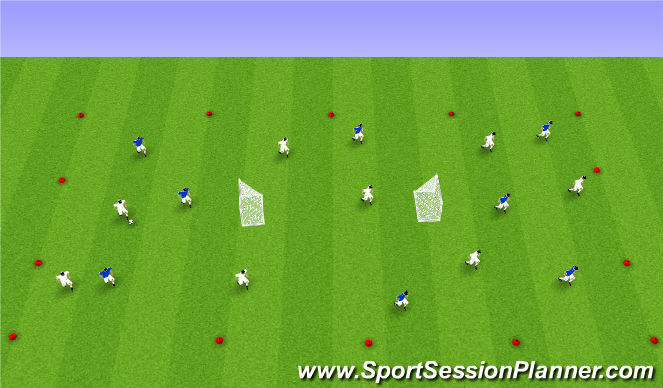 Description - Player 1 passes to player 2 who receives the ball and passes to player 3 who receives and passes to player 4. Player 4 receives and plays a pass to payer 5 who passes to player 6. Player 6 receives the ball and passes to player 7. Players follow their pass. Small Details - Approach to the ball, preparation of the ball, style, technique, clean contact, weight of pass, body shape, both feet. Field size 30x40yd, two small goals back to back 1/3 of the field apart. 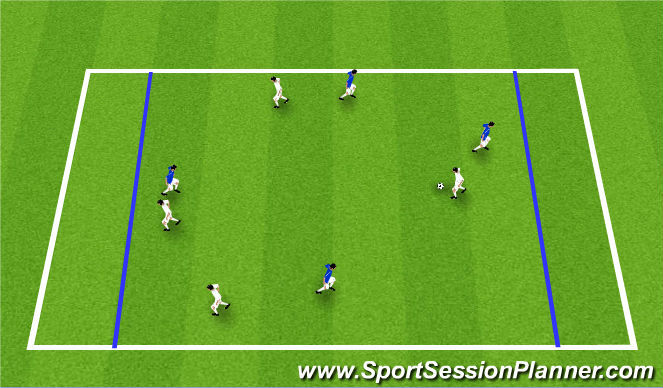 Look for quick passing sequences to move the ball around the area to rate scoring opportunities.